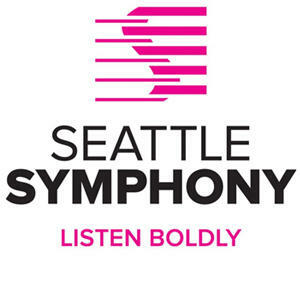 Acclaim | Seattle Symphony | Kirshbaum Associates Inc.
Mr. Schwarz's investment in Seattle, since 1985, has helped the orchestra thrive. The orchestra rolled out a smooth, plush, delicately veiled collective texture in Bright Sheng's arrangement of Brahms' Opus 118, No. 2, Intermezzo. Here is typically selfless, unaffected music-making from the admirable Seattle Symphony/Schwarz partnership. Aided by clean-cut, nicely responsive orchestral playing, Schwarz locates an unadorned, deceptively powerful purity in Appalachian Spring. Schwarz and the Seattle players convey all the power and drama, with a particularly fine account of [Mennin's] single-movement Seventh Symphony , its five sections skilfully balanced. The opening Allegro [of Beethoven's Eroica Symphony] had weight, even muscle. It was propulsive, the momentum going forward in an inexorable way. The music making was exciting for all the best reasons. With recordings of all the symphonies of William Schuman in the works and of two long-ago Metropolitan Opera premieres-Howard Hanson's Merry Mount and Deems Taylor's Peter Ibbetson-awaiting release, Gerard Schwarz is no slouch when it comes to promoting American music. Schwarz has always been particularly skilled at finding in such ripe romantic string passages [Variation 18 of Rachmaninov's Rhapsody on a Theme of Paganini] the right balance between milking and pressing forward. The Seattle Symphony Orchestra is a remarkable gift to this community and we are fortunate to have such talent in this region. The orchestra played with exemplary precision and balance; particularly outstanding was the brass section. [Rimsky-Korsakov's Russian Easter Overture]. Music and musicians align for a stellar performance. Schwarz took the orchestra through Bruckner's vast canvas of orchestral colors and articulations, building and diminishing the sound, bringing out sudden virtuoso solos that quickly receded back into the ensemble....Schwarz unfolded the score with unhurried patience, making a strong case for this powerful and complicated score.